Why I No Longer Advocate for MultiValue - Precision Solutions, Inc.
For the past several years, I have been a proud member of the Multivalue community, Colorado Multivalue User Group, a contributor to the Spectrum magazine and conference, and an all-around advocate/evangelist for the technology. However, recent developments have made it impossible for me to continue as a cheerleader for a technology that is actively being destroyed from within by one of the industry’s largest vendors: Rocket Software. Decades ago, Multivalue was a fragmented community, with vendors like VMark, Unidata, Pick Systems, Reality, MVBase, Temenos, and Ladybridge vying for attention. Through the years and seemingly countless acquisitions, the industry has been reduced to only two vendors: Rocket Software with Unidata, Universe, and D3, and Zumasys with jBase and QM. While the data storage industry worldwide has changed dramatically, the Rocket Software licensing model remains in the dark ages. Rocket, as well as IBM, Informix, Ardent, and Unidata/VMark before them, relied on value-add resellers (VARs) to create products to sell their technology. 30 years ago, this distribution model was sensible. However, in today’s connected and social world, this “members-only” model has constructed an impenetrable wall around the technology, keeping new customers out. But more of a problem, Rocket Software is using this same wall to harm customers by holding them captive with vendors who are unable and/or unwilling to support them, at more than premium prices. In some cases, customers are paying dozens to hundreds of thousands of dollars annually for very little support, while the price climbs year over year. If a customer then decides to terminate that relationship with their Rocket VAR, Rocket refuses to provide support or assistance to that customer, leaving the customer entirely abandoned and eager to jump to any technology that ISN’T owned by Rocket Software. We at Precision Solutions will continue to provide the very best support we can to our Multivalue customers as long as they need us. 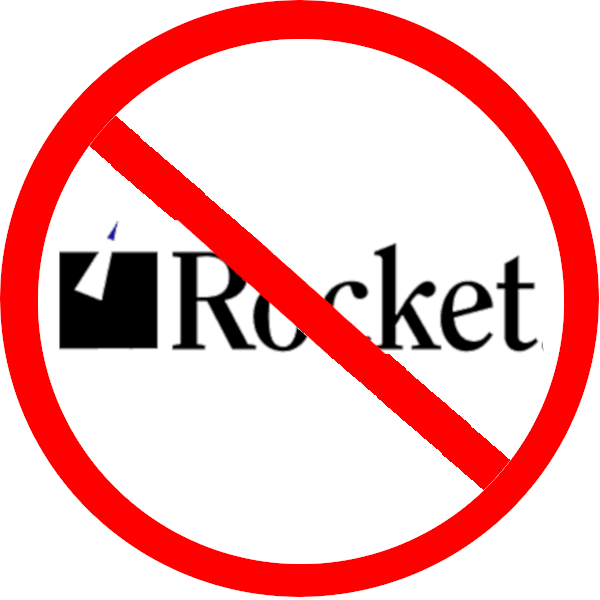 However, because we provide support to customers that Rocket has abandoned, we are guilty by association and have been deemed “in the middle of a valued relationship” between Rocket and their VARs and they have determined we are also not worthy of their time. Making matters worse, some VARs (who have products both in and out of the Multivalue market) are actively working to push customers away from their Multivalue products while Rocket Software silently does nothing to slow the bleed. The Multivalue market is small enough without one of its largest parents actively harming existing customers while keeping new customers out. At this rate, the writing is on the wall: Multivalue will die. I refuse to be the one to turn off the lights when Rocket’s mission is complete.